What kinds of emotions does history call up? What purposes do emotions serve as part of historical understanding? The answer to the first question is simple: strong ones, at least to judge from the polemics that periodically polarize the work of professional historians or public discourse on the past. The second question is more difficult to address because emotions vary. What I find breathtaking or inspiring, someone else finds lacklustre or irrelevant. But, emotional reactions to history indicate something. At the very least they show how important the past is and how connected many people feel to it. After all, if the past were irrelevant, it would not garner strong emotion. Emotional connections to the past, I want to suggest, can do other things as well. They might allow — or, perhaps, even force — us to think about the past and its relationship to the present in challenging, different, and important ways. 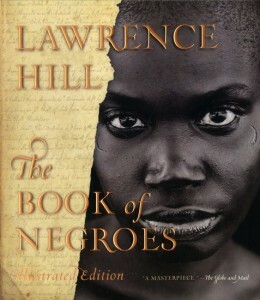 The recent CBC mini-series The Book of Negroes (based on the Lawrence Hill novel of the same name) is a case in point. As both a novel and, now, mini-series The Book of Negroes has done a remarkable service for those of us interested in an active history. As a variety of reviews (such as this one) have noted, the series is “compelling, moving, emotional.” It does not simply draw attention to a neglected element of Canada’s past but its emotional power forces an engagement with it. What I want to do in this post is explore the dynamics of emotion as a mode of historical understanding in order to highlight both how it works and its importance. My goal, then, is to recast emotion — or, at least try to open a dialogue on it — as a mode of historical apprehension. An examination of The Book of Negroes is not incidental to this kind of consideration. Most reviews of it have focused on its historical character and how Hill’s narrative stood to draw broader public attention to a neglected — many use the word “forgotten” — aspect of Canada’s past: its dark history of racism and slavery. More than this, however, Hill’s work recasts this aspect of Canadian history. It calls attention to Black Loyalists and the racism they confronted but also debate within the American Black community about how to respond to revolution. It shows how Canadian history is set in a broader North American history, particularly as it pertains to race relations. And, it captures the deep ambiguity at the heart of the Canadian experience with regard to race: the promise of autonomy and freedom that is ardently and sincerely defended by some but also fundamentally compromised in practice. It gives us, in short, a great deal to think about. If this is so, why talk about its emotion? Precisely because the emotional dynamics of the novel and mini-series are not accidental. This allows us to think about what makes for powerful emotions connected to historical narratives. Equally important, neither Hill nor others involved in the mini-series’ production have shied away from talking about this aspect of it. For Hill and Aunjanue Ellis (who plays the lead role) and Louis Gossett, Jr. (who plays a key supporting role), this aspect of the narrative is central to it. In different interviews — for CBC Radio and The Root — they’ve each taken the opportunity to explain their views. Collectively, they have suggested, the emotional power of the narrative is important for several reasons that are central to how we think about the past and the role it plays in contemporary culture. First, Hill has noted that he wanted to write a story that “mediates on a person’s reliance.” The protagonist — a young west African girl named Aminata Diallo who is captured and enslaved — does indeed triumph over adversity. What he wants to explore is resilience in the face of inhumanity, terror and oppression. What gives The Book of Negroes‘ Aminata her emotional power, however, is not simply perseverance. It is a horrifying fact of human history that many many people are not able to persevere. E.P. Thompson, in one of his discussions of the “moral economy” and food riots noted this a long time ago. Some people riot and resist. Others, for their own reasons, do not. I am sure Hill fully understands this and would never pass judgement on them. Instead, what makes Aminata so emotionally attractive is her ability to retain her individuality and her sense of herself. Slavery is, Ellis has said, “the circumstance of her life, this doesn’t define her life.” Her emotional connection to Aminata caused Ellis, she later said, to think in what strikes me as a very history-like way. It made her wonder how she would react in the same situation. How would she respond to the circumstances in which Aminato found herself? Second, according to Ellis, acting in The Book of Negroes forced her to ask discomforting questions. The narrative, as Hill has said, was intended to “shatter” myths. According to an interview on CBC Radio, he consciously described the role of Africans in the slave trade for precisely this reason. For Ellis, the narrative suggested to her uneasy questions about the legacies of the past and led her to conclude that “no one is innocent” because we all “profit from the legacy of it.” “Its a reflection of what we have to deal with as a civilization,” she said. This realization confirmed in her the need “to not be silent anymore.” In other words, she felt compelled to draw attention, when she can, to this history, its implications, and its legacies. To remember it and to tell others about how it affects contemporary life. Hill further explained that when he has had the opportunity to talk to younger audiences about the narrative, he’s been asked why it is necessary to talk about this history. After all, one parent apparently said to him, it upset their child. Hill’s response is that this is precisely the reason to talk about it. To put this in other words, he and Ellis are arguing that uneasiness, emotional struggle, and feelings that are not easy to master are part of historical understanding. We need to recognize that our society is built upon the injustices of the past in ways that dislodge presumptions of innocence or supposed national commitments to justice. In short, this is a mode of historical apprehension that leaves disconcerting feelings in its wake that trouble easy nationalism or simple pronouncements about our ability to transcend or address the past. For those of us who live comfortable lives, they force us to ask about the price others have paid for our comfort. This is a form of historical understanding that leaves us feeling more than a bit hollow and more than a bit emotionally spent. Finally, Hill specifically draws attention to another troubling legacy of history: the inability to get beyond it. For Hill, history becomes what he has called a “continuum of struggle.” Slavery, of course, still exists and, he points out, the horrors of history are not confined to slavery. They include ethnic cleansing in the former Yugoslavia, the genocide in Rwanda, and the Holocaust, among others. In talking about the lessons of The Book of Negroes, he draws specific attention to the horrific elements of history that do not seem to end. And … he leaves his comments there, allowing no emotional release; no happy ending. I will confess that I have had a long and on-going debate with myself about the emotions my own research has called up in me. Is this a good thing? There are a lot of moments when I don’t think it is. I feel more comfortable with facts and figures, with dispassionate analysis, with inter-textual criticism and evidence I can weigh. I feel more at home with it; safer. But, I also think that if history lost its emotional resonance, it would lose something vital. After watching The Book of Negroes I now think something else. Emotional connections to the past — to individuals or groups or people in it — are not simply a normal mode of historical understanding but bring with them important questions. When we develop an emotional connection to Aminata and her struggle we start to think differently, we apprehend the past differently, and we wonder more concertedly about its legacies. The fact that we can find no easy answers for troubling questions — no way to resolve the disconcerting emotions The Book of Negroes calls up — seems to me to be entirely appropriate. In fact, if we could easily address the emotions of the terrifying aspects of the past, well… that might be something to wonder about. This might be the final lesson of The Book of Negroes: confronting history should leave us emotionally spent and, periodically, confused about our own feelings.